A: Gosh, there are just so many possibilities aren't there? One couple that I would like to see together would be Hermione Granger and Simon Lewis (from The Mortal Instruments Series.) I think it would work because they are both in their own areas geeks. Hermione is strong willed and Simon I think would go for that, seeing as he falls for the strong-willed Isabelle in TMI. There are so many other great matches out there, and I would love to see yours! A: One of the books I am reading right now is Like Water for Chocolate and I am really enjoying it. I know it was already made into a movie, but I think using the already cast characters is cheating, so here we go. I'm not very familiar with their acting, but they look a lot like the way I picture the characters. I am currently hosting a Giveaway of Suffocate, so be sure to follow the link if you are interested in entering. What was your answer this week? Starting June 1st, half of all proceeds from “Marcus 98012: and the Great Awakening will be donated to public schools. "I am doing this because I feel it is no secret that our public schools need help and writers, reviewers and social networks can make a difference Help invest in our future by investing in education." What would you do if you discovered your whole world was made up of lies? In the distant future, society commits to a more peaceful existence. Conformity is the rule. One night, Marcus 98012 awakens from a dream and is led to the horrifying truth. He discovers that nothing is what it seems as the unexplainable things around him come into focus: the mysterious elders, the disappearances of students- the oddly different Leila 98001. During Marcus’s search for the truth, he becomes a threat to the elders that run this mysterious world and he must decide between trying to destroy the system or escaping it with his life. S.R. 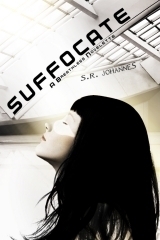 Johannes's new novelette, Suffocate, is here! Suffocate is the first in a triology of novelettes calle The Breathless series. It is a 15,000 word young adult thriller that combines the dystopic and science fiction genres. Suffocate in on sale in ebook only at Amazon and Barnes and Noble. Today, S.R. Johannes is also part of Indelibles Beach Bash that is giving away a Kindle/Nook for people who enter. So, go try your chance at winning a new ereader for summer loaded with 19 ebook (new releases) and some other individual prizes as well. S.R Johannes was generous to give out an ecopy for me to giveaway as well! Cemagna and her brother Temet grew up in hiding. She never thought about the reason for this until Temet is kidnapped and taken to a place known only as the Wizardly Order. Temet grows up inside the Wizardly Order, which he learns is an extremely dangerous organization. Ostensibly to help the general population, the Order actually exists to corral and control all wizards. The Ten Ring, the leaders of the Wizardly Order, enjoy the power this gives them... until they begin to view Temet as a threat. Ten years later, no longer a child, Cemagna begins her search for Temet. She attracts the attention of Duke Von Chi, who takes her in and agrees to help her in her search. What Cemagna doesn’t know is that Von Chi has his own plans for her, and so does Ormas, his son. Halfway was a very quick exciting read. Cemagna and Temet’s world is one of Wizards and Fairies, but there are many questions about the world that remain to be answered. The story alternates between the two lead characters’ perspectives, both of whom are very likable and intriguing. Temet struggling to cope with the idea of living with the people who kidnapped him, and Cemagna leaving behind all she ever knew to find a brother who may not even want to have anything to do with her. 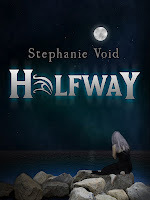 I enjoyed that Halfway was such a quick read because there was always something exciting or important happening, but at times it was a drawback for me as well. At times things seemed rushed, which made some of the characters’ decisions seem rash because they were so hurried. Overall though I thoroughly enjoyed Halfway and will definitely be reading the sequel. I would recommend this book especially to fans of original world-building, and magic. What about you? Where would your dream reading vacation be? Thank you so much to everyone who entered. I hope to see you all again next year! 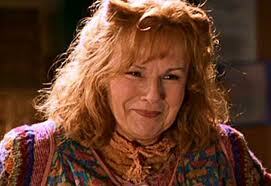 A: I would have to say Mrs. Weasley, hands down. She is a totally amazing mom, a total Mama Bear. she is so great with all her kids and handles a hectic house-hold, an easily distracted husband, and always has time for Harry, Hermione, or any other guests to boot! If I had to be adopted into a fictional family, I'd want to be a Weasley! I really enjoyed this montage. It makes me even more anxious to see Catching Fire! New York, NY (May 7, 2012) – World Weaver Press (Eileen Wiedbrauk, Editor-in-Chief) has announced that they will begin accepting submissions today, Monday, May 7th, for their first anthology, Specter Spectacular: Ghostly Tales. The call for submissions will remain open through July 7th in anticipation of a Fall 2012 publication date. Guidelines and instructions for submission are available at http://worldweaverpress.com/submissions/calls-for-anthologies/. World Weaver Press is seeking new and previously published short fiction in the vein of the classic ghost story for this themed anthology, including tales of spirits, hauntings, specters, boggarts, poltergeists, and other spooky whatnots. Scary or funny, tragic or redemptive, Specter Spectacular: Ghostly Tales will run the full spectrum. World Weaver Press opened to general speculative fiction submissions on Many 1, 2012. Please visit http://worldweaverpress.com/submissions/ for guidelines. Their first publication, Cursed: Wickedly Fun Stories by Susan Abel Sullivan, a young adult speculative fiction short story collection, can be purchased online at Amazon.com and Barnesandnoble.com. World Weaver Press is a publisher of fantasy, science fiction, and nonfiction, dedicated to producing quality novels, novellas, collections, and anthologies of short fiction. As a small press, World Weaver Press seeks to publish, market, and distribute quality fiction that engages the mind and ensnares the story-loving soul. 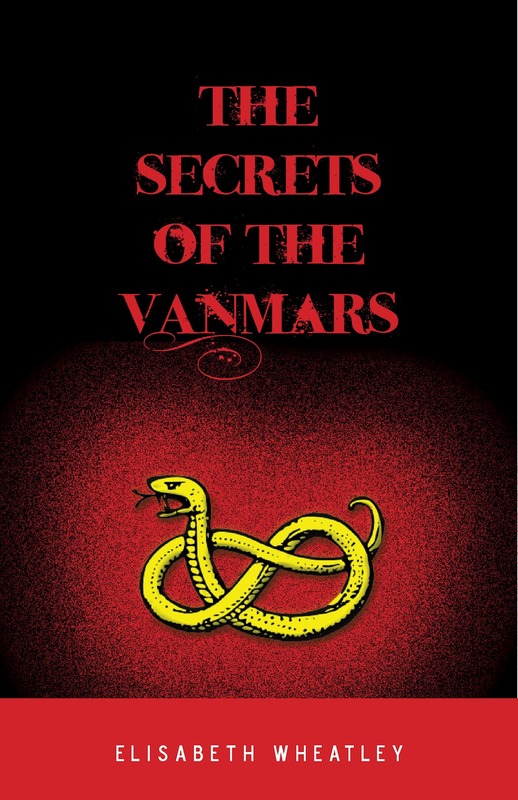 Today I am pleased to announce that I am the next stop on the blog tour for The Secrets of the Vanmars, the sequel to Key of Amatahns in the Argetallam Saga. Janir had the misfortune of being born with one of the hated Argetallams for a father. But unlike other Argetallam children, she was mostly granted a normal childhood, away from the rest of her family. It looked as if she would live a relatively normal life as the foster-daughter of a powerful lord. 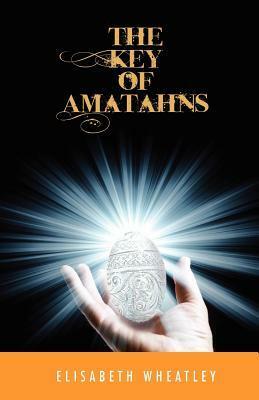 Until one critical day Janir’s powers awakened and she became entangled in a young enchanter’s quest for a long-lost treasure called the Key of Amatahns. 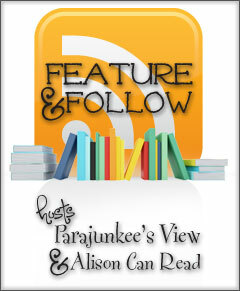 Author Guest Post: Why do you love fantasy? My obsession for fantasy has been in the making since I was old enough to talk. I loved the Disney princesses—Snow White, Sleeping Beauty, Belle, Ariel, and Mulan. What’s the one thing all their stories have in common? You guessed it: fantasy (and singing and a handsome prince too, I guess, but you get the point). Even though I had a taste for the magical and enchanted and practically devoured any book my mother handed me, I shunned books with magic in them for years. I thought for sure that they were silly, childish, and that I wouldn’t like them. Interesting reasoning for a girl who’d just read and liked the entire Anne of Green Gables series, right? Then one year when I was eleven, while our family was on vacation, my cousins nearly coerced me into watching a movie I was certain I would hate and I most certainly didn’t want to watch. The movie was Disney’s “The Lion, the Witch, and the Wardrobe.” But guess what? I LOVED that movie and still do. The next step was I read the Narnia books and then I watched another movie I wasn’t so sure about—“The Two Towers.” I’m sure you can guess what happened next. I fell head-over-heels for “The Lord of the Rings” series and started reading almost exclusively in the same genre. Not paranormal, not urban fantasy, but full-blown fantasy books. The thing I love about the entire genre is that anything can happen. Those poor readers of contemporary fiction can’t have a sapphire-blue dragon that speaks directly into a boy’s head. They can’t have a giant black cauldron that brings people back as immortal, obedient zombies. They can’t have a gateway to another world where there’s a white witch whose hobby is turning people to stone. They can’t travel in time...really, what can they do? So, here I am today. A sixteen-year-old who can hardly concentrate while reading anything that doesn’t have a touch of the super-wonderful and who talks to my favorite characters while I walk my dogs. To me, fantasy and magic are real, similar to how a dream is real. There is so much in the world we don’t understand, (even if, like little children, we pretend to understand) and who knows? Maybe Elfland really is out there. Maybe magical creatures do live among us. Maybe God made other worlds besides ours. Maybe He even made sentient beings besides us. Wouldn’t that be cool? For more information on the Argetallam Saga, be sure to check out Elisabeth Wheatley's Website. A. Gosh, that's such a difficult question. To be honest I would probably be so starstruck anything I would want to say would immediately fly out of my mind. "You're so amazing" doesn't cut it at all, but it's probably all I would be able to choke out. What did you guys all say? New York, NY (May 1, 2012) – World Weaver Press (Eileen Wiedbrauk, Editor-in-Chief) has announced that they will begin accepting submissions today, Tuesday, May 1st, for speculative fiction and non-fiction. Guidelines and instructions for submission are available at worldweaverpress.com/submissions/. World Weaver Press recently released Cursed: Wickedly Fun Stories by Susan Abel Sullivan, a young adult speculative fiction short story collection featuring witches, werewolves, limericks that can change fate, and a sinister vine bent on murder and the destruction of Alabama. The digital edition of Cursed: Wickedly Fun Stories can be purchased online at Amazon.com and Barnesandnoble.com. Details of forthcoming novel-length fiction will be announced shortly. I know this is technically a YA Book Blog, but I got this press release in my email and thought I would share it. PTSD is a whole body tragedy, an integral human event of enormous proportions with massive repercussions. Susan Pease Banitt, LCSW, wrote this book from the perspective of both healer and healed, in order to finally address the comprehensive needs in healing from PTSD and traumatic stress. 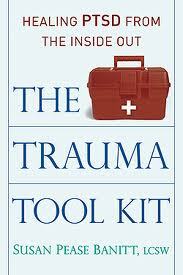 The Trauma Tool Kit provides the information needed to heal fully from PTSD and other stressful conditions. It is a comforter, guide and manual designed to provide full support on the journey of healing from extreme events. The tools outlined in the book include a roadmap for healing trauma, from rebooting to forgiveness; methods for healing the spiritual core and physical body, including both Eastern and Western techniques; and a list of the types of services that can help heal. With the comprehensive information and exercises provided in this tool kit, those who have suffered will be able to move back into the center of their lives and go forward with joy, resolution and fulfillment. Susan Pease Banitt, LCSW is a Harvard trained psychotherapist who has studied yoga, shamanism and alternative healing for over 20 years. Her passion is helping people recover from traumatic stress and related disorders. She lives in Portland, Oregon with her cardiologist husband, twin teen daughters, four horses, three dogs and two cats.